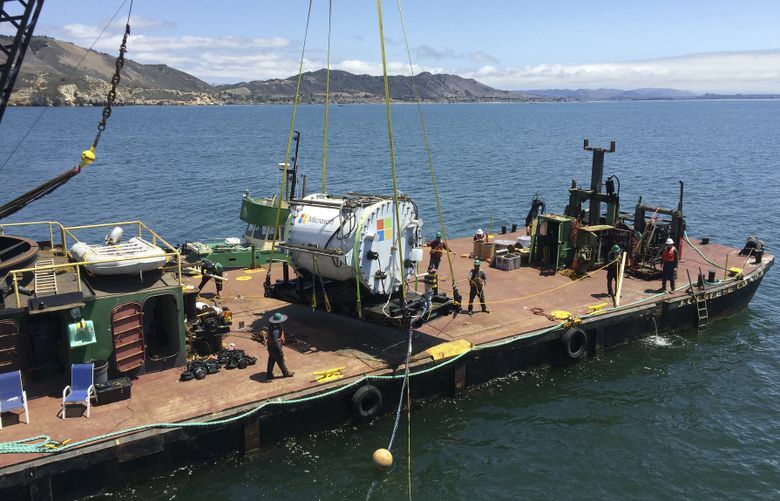 "Microsoft has tested a prototype of a self-contained data center that can operate hundreds of feet below the surface of the ocean, eliminating one of the technology industry’s most expensive problems: the air conditioning bill." "The underwater server containers could also help make Web services work faster. Much of the world’s population lives in urban centers close to oceans but far from data centers usually built in out-of-the-way places with lots of room. The ability to place computing power near users lowers the delay, or latency, people experience, which is a big issue for users." "Microsoft manages more than 100 data centers around the globe and is adding more at a rapid clip. The company has spent more than $15 billion on a global data center system that now provides more than 200 online services."